~ Minimal, simple and clean design. ~ Less seam weatherproof construction. Only centre of main body sewn. 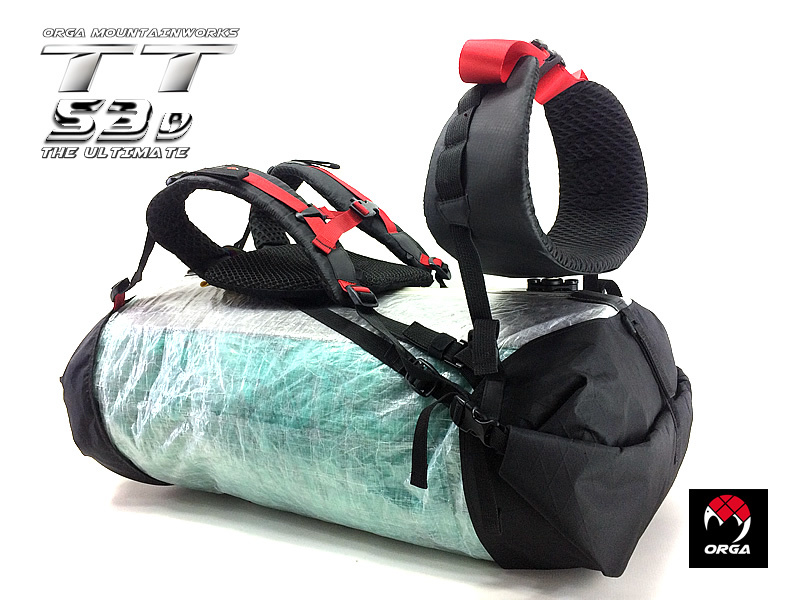 ~ Modular7 (patent pending) pack construction– pack can disassembled to 7part; the main body, top lid , pack bottom, body frame, shoulder strap, backpad and hipbelt. 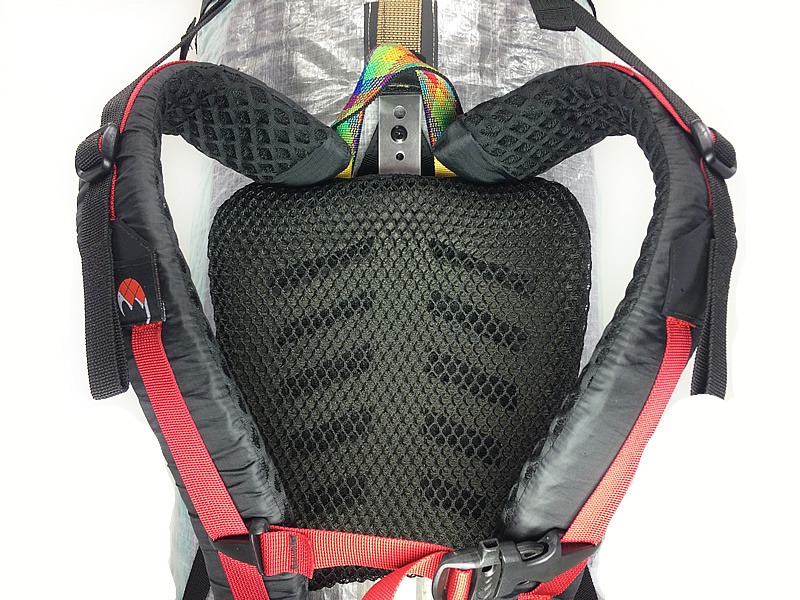 ~ Backpad – super ventilated see–thru 3D mesh cushioning for a jetcool breathable back body and quick dry effect. 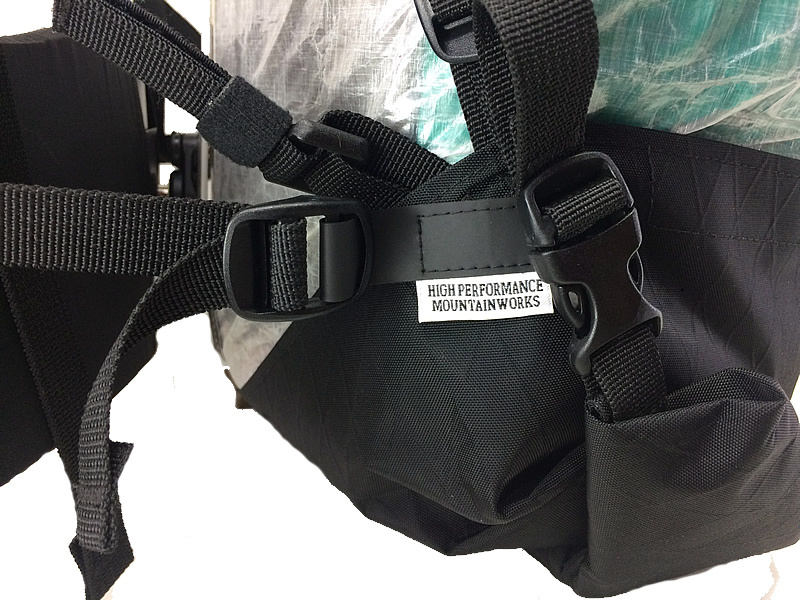 ~ Hipbelt – SALT-Spherical Align Load Transfer (patent pending) hipbelt configuration that can pivoting 360° at axis x,y and 22° at axis z which allow free hip movement while alligning the load to centre of gravity effectively. ~ Accessories – Lots of module can attach. 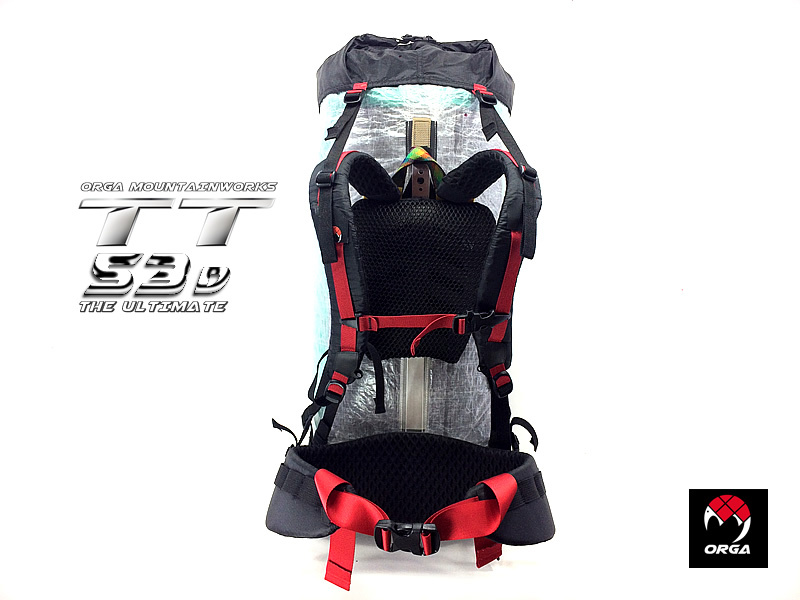 ~ Adjustable torso 16”-19.5” backsystem. 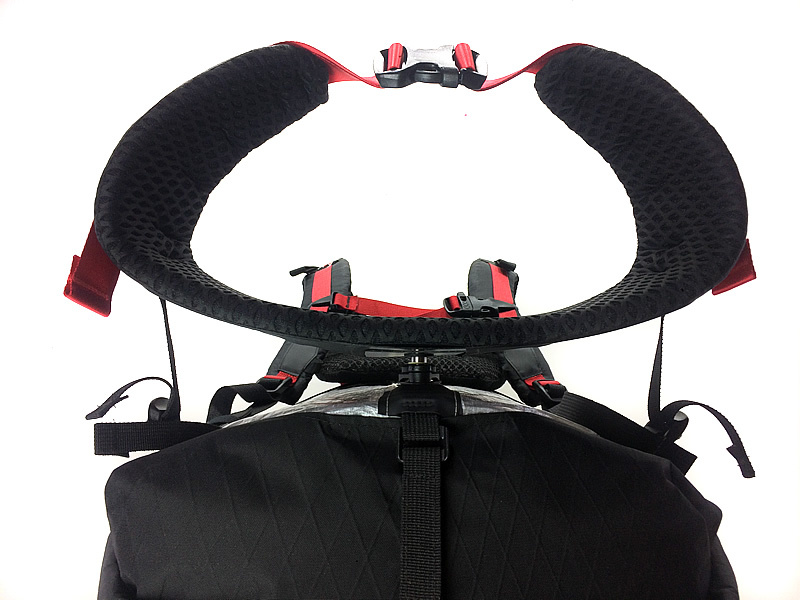 ~ Top and bottom loading with roll top closure. 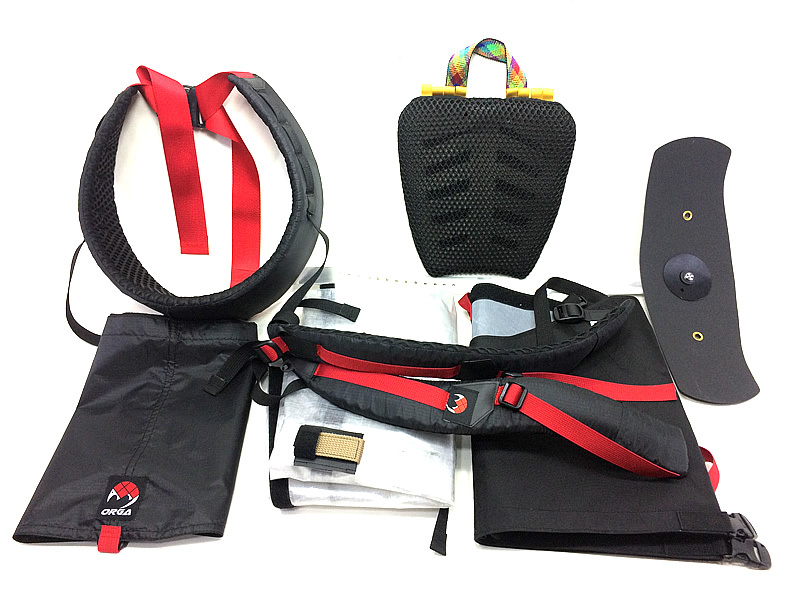 ~ chest strap, framesheet, parang holder, water bottle holder, hipbelt pocket, Orga SP, outer mesh and mesh daypack. Many modules will release in future. Artisanally handmade in The Historical City of Malacca, Malaysia – UNESCO World Heritage Site.